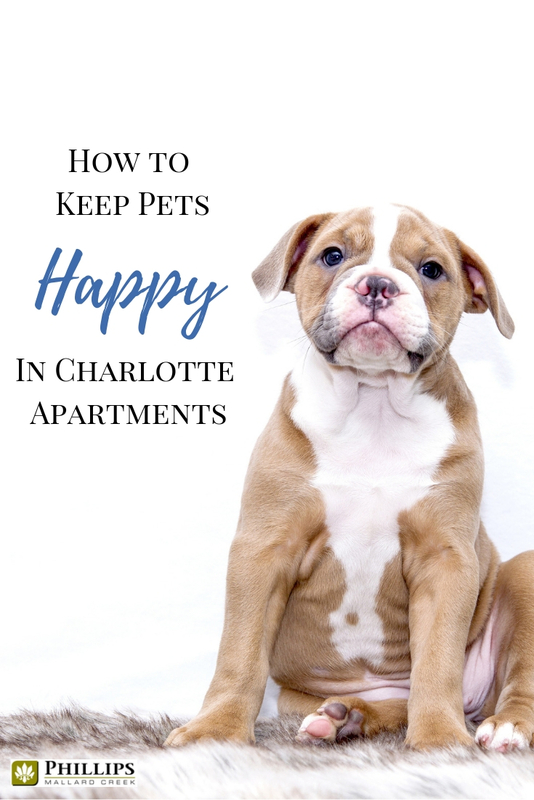 As a pet owner living in Charlotte apartments, you know that keeping your pet happy is a top priority. You may think that apartment-living doesn't suit the pet-parent lifestyle, but we are here to show you that it can! All you have to do to keep your pet feeling happy and loved is provide the right toys, the right furniture, and give him plenty of exercise. Easy peasey, right? Of course, it is! 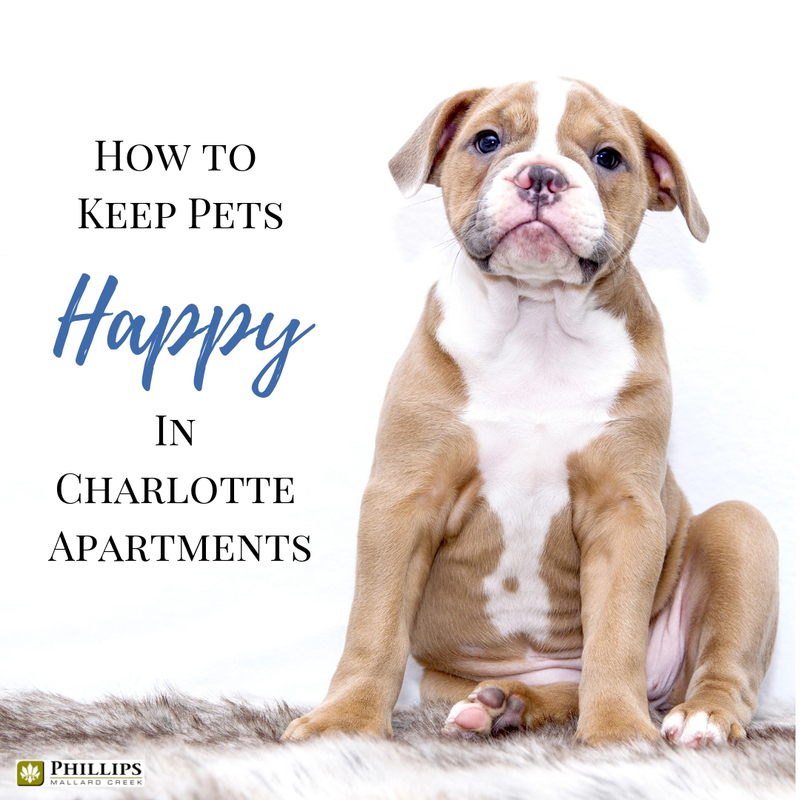 Let us show you how with these tips on keeping your pet happy in your Mallard Creek apartment. If you are one of the few people in the world that still have a landline, consider getting an old-school answering machine. Then you can call home and leave your furry best friend a little message during the day. Dogs love to hear the sound of their owner's voice! Don't have a landline? There are a few two-way special remote treat dispensers that allow you to talk and to access them remotely. Some of them even have speakers so that you can say hello all the way from your cubicle. It will make your doggo feel like such a good boy when he gets random daytime treats. 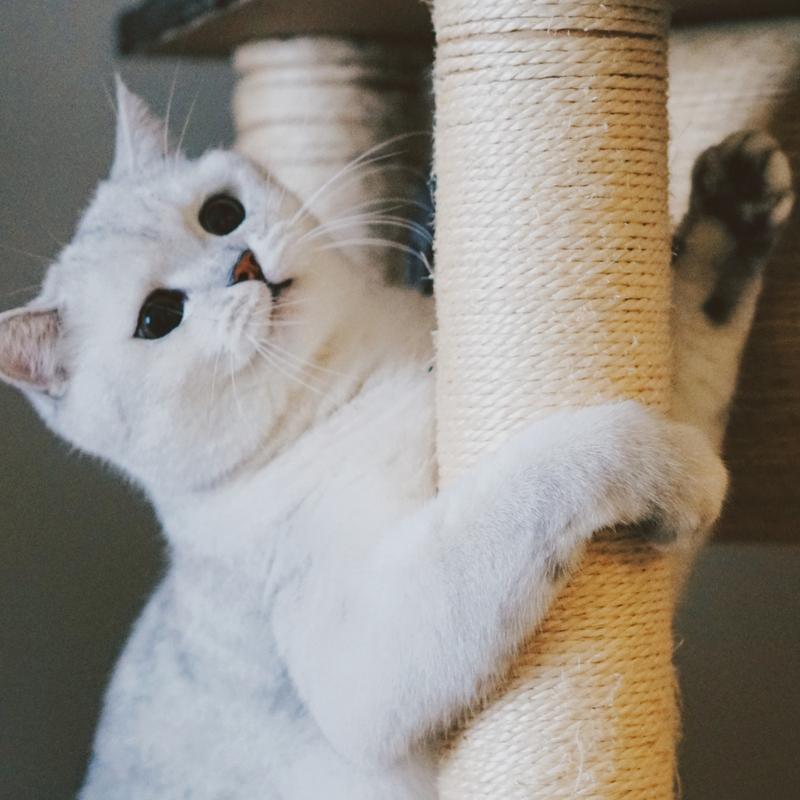 There are plenty of dog and cat toys on the market, but if you want to keep the inside of your Charlotte apartment from being trashed while you are at work, you need to get the right toys. Your pup needs something that doesn't leave her feeling bored. Boredom leads to chewing up your shoes. And the couch. And your video game controllers. (You get the idea.) Cats can get cranky when they are bored. So they will need toys that they can bat around. Unless you work from home, you probably have to leave your puppy for a good portion of the day. Even though you give them a nice long walk before you head to the office in the morning and rush home after your long day to let your dog out, it might not be enough to keep them happy. Some breeds require a lot of activity to keep them from getting bored or just to keep them healthy. A mid-day walk may be just the thing they need. If you don't have time to run home and take them out on your lunch break, think about hiring a dog walking company to take care of Fido. Your four-legged friend will be a much happier pup when they have time to burn off some of that energy in the middle of the day. Stuffed animals will keep her from getting lonely, and toys that are more complex will keep her from getting bored. There are even a few puzzle treat toys that should keep her occupied for a few hours. The thing your dog and cats wants the most is attention from you. Some dogs can be very, very needy, but all dogs want to feel loved. When you are home, show your puppy and kitty extra love and attention. 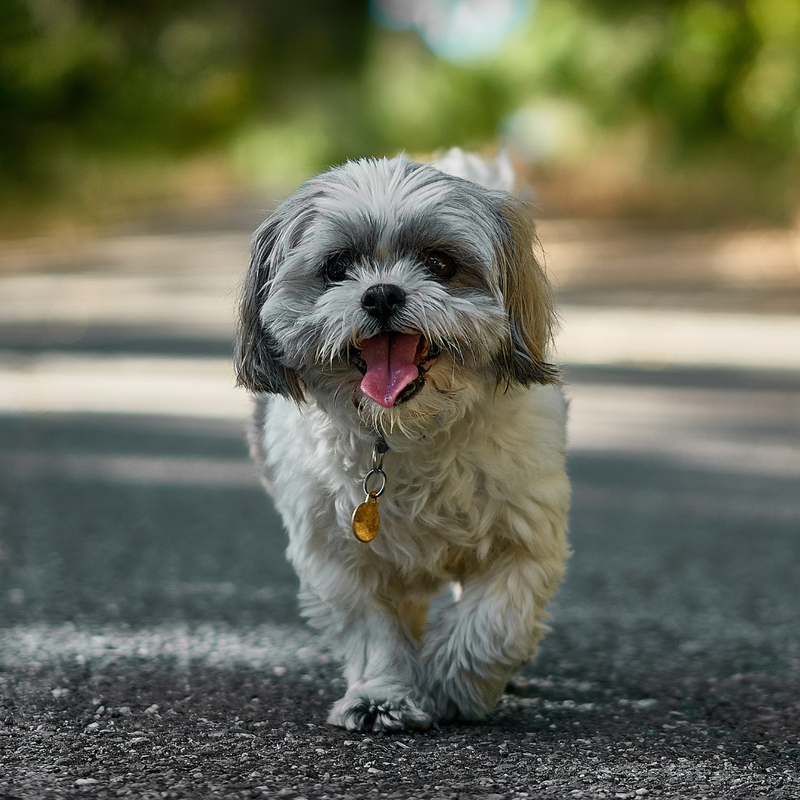 Take them for a walk around your Mallard Creek Apartments, or let them stretch their legs at the dog park. Cats aren't usually amiable to walks, but they do love to play with laser light or a feather toy. If you really want to have some fun with your pup, take them to one of the local breweries that are dog-friendly or to the Dog Bar in NoDa! Dogs are allowed all the time, and you can even let them get wild and go unleashed. Plus, you can grab a brew or two for yourself while your pup socializes. Dogs feel better when they are on a routine because they are all about the habits. If it is possible, you should try to come and go from work at a consistent time each day. Feed your dog on a schedule, and take them for walks on a schedule. If you hire the dog walker, try to get them to come at the same time every day. Your dog will feel less stressed and a whole lot happier when they are on a consistent routine. Obviously, you won't be able to stick to it every day, things will come up. However, get as much consistency as possible to keep your pet happy. You likely decorated your Charlotte apartment to reflect your personal styles and tastes, but did you remember to make a little special spot for your furbaby? While your pet may love snuggling up next to you on the couch in the evenings, he may feel a little too alone during the day when you aren't there. Having a little nook with a comfy bed or blanket that he can use as a retreat may keep him from feeling as much separation anxiety while you are at work. If you have a smaller breed dog, then you can even get them a bed that is a little more enclosed for added security. Cat are pretty good about finding the warmest and coziest spot in the house. However, they may appreciate a space of their own as well. As you can see, there are a lot of ways that you can keep your apartment intact and keep your pet feeling loved and stimulated while you are away all day at work or school. Charlotte is a very dog-friendly city, so head out with your four-legged friend for some exercise, then come back and chill in your Mallard Creek apartment! Here at Phillips Mallard Creek, we are a pet friendly community. We love and appreciate our resident's furbabies! A few of our many amenities include a convenient on-site dog park and dog waste convenience stations throughout the property.